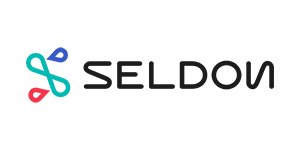 Seldon Core is an open-source framework that makes it easier and faster to deploy machine learning models and experiments at scale on Kubernetes. Serve your models built in any open-source or commercial model building framework. Leverage powerful Kubernetes features like Custom Resource Definitions to manage model graphs, which can contain one or more models as well as A/B tests, ensembles and feature transformations. Connect your continuous integration and deployment (CI/CD) tools to scale and update your deployment.